Home Blog Why is LinkedIn important when looking for a job? Why is LinkedIn important when looking for a job? LinkedIn is the go to portal for professional networking, and yet so many people I talk to still don’t have a profile, or started a profile that they began some years ago and have never looked at it again. Yet with the membership of LinkedIn being over 465 million + worldwide, (1 million in NZ), and reaching over 200 countries, it is one of the most powerful tools you can use when you are looking for a job. And according to industry statistics, LinkedIn has the highest rate of successfully placing job candidates! So why not use it! When you are job hunting, it is important to target several channels, not just one, because you never know where that next job is going to come from. Besides looking at advertised vacancies, online job boards such as Seek and Trade me, registering with recruitment agencies and networking, the use of LinkedIn is a powerful vehicle for job hunting. Some statistics quote 93% of hiring managers will look at people’s social profiles before deciding to hire them. A great reminder to make sure your facebook is private, and to concentrate on building a fantastic professional profile on LinkedIn. Note: If you are someone who started a LinkedIn profile a while back that you have not touched for many years (and has probably forgotten your password), don’t begin a new one – resurrect the old. Otherwise if someone searches for you, they may connect with the wrong you! The first thing is to ensure is that you work on your profile until it is completed, with all your previous roles, education, professional photo, summary and other details specified. A completed profile has 7 times more chance of being viewed, and 11 times more likely to be viewed with a photo. Putting time to make your profile shine will pay off. You may like to do this in small bites, as it can be overwhelming. Once you have completed the basics, asking for recommendations and increasing your connections will raise your visibility to a larger number of people. Aim for at least 50 -100 connections to begin with to show potential employers that you not only know a range of people but you are also comfortable with social media and actively use it – very important in today’s tech savvy world. And when you begin to build up your connections, the power of LinkedIn begins to kick in. You start to become visible to potential employers and recruiters, possibly looking for your particular skills and experience. Many organisations recruiting will actively use LinkedIn as a source of potential candidates. And if you applied for a position, they will more than likely check out your LinkedIn profile before bringing you in for an interview. 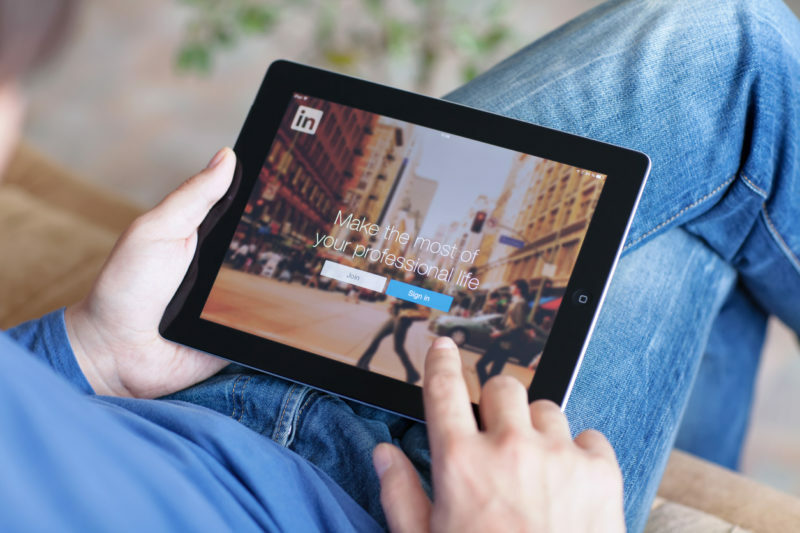 But how can you, as a job hunter, make the most of LinkedIn in your job search? LinkedIn Groups – this is a great opportunity to join relevant groups where potential employers may be. For example, if you want to get into marketing, then search for groups where other marketers are members, and ask to join. This shows that you are engaged in your field of interest. You can then connect with the relevant people, start or add to conversations and begin to get noticed. Following your target companies – there are over 3 Million business pages on LinkedIn, so pick carefully the ones you are really interested in and follow them. You will be notified as people join and leave as well as seeing job posts, and find company contacts for anyone you may want to connect with. Be savvy with your Headline – found just below your photo, your LinkedIn headline can give you the opportunity not only to sum up who you are but also what you want, making it more likely you’ll be found through searches. Consider what recruiters are likely to search, and fit this into your profile headline. Preparation for an interview or meeting – if you have an interview or a meeting with a potential boss, then search for them on LinkedIn and do some preparation before you meet them. You may have an interest in common, have worked for the same company or even gone to the same school! A great conversation starter! Networking – one of the most successful job hunting techniques is tapping into the hidden job market. Maybe you want to work for Company A but you do not know of anyone that works there. LinkedIn is a great way to find connections who might have a link to Company A and can then introduce you. LinkedIn is a powerful tool to add to your job search – take the leap and join LinkedIn. Not only will increase your visibility to others, it will allow you to actively participate and connect with potential employers and where the opportunities are created. But even if you are not in the job market, don’t ignore your LinkedIn profile. You never know whether that dream job is just around the corner! If you need assistance in developing your LinkedIn profile, or coaching in other job search strategies, click here to find out how I can help you.